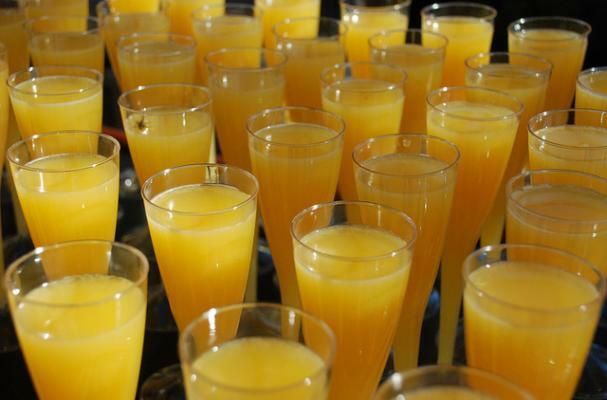 Make a toast at your Mother's Day brunch with a mimosa. Classically, this cocktail is equal parts champagne and orange juice. Select a champagne or sparkling wine that is on the drier side. Cava and Prosecco are both delicious choices if champagne is looking a bit pricey. You can also use a variety of fruit juice like peach, pomegranate, or even guava. Pour chilled champagne into flute until filled half way. Top of the glass with orange juice or other fruit juice.